It is that time of year again. Summer is over. Fall is starting and for those of us who call North East Pennsylvania home it means that we will start to see less and less of that bright glowing ball of fire in the sky called the sun. A very sad thing indeed. Our days will continue to get shorter and shorter. Daylight savings time will rob us of another hour of ‘usable’ sunshine. The sun will soon be setting before 5pm. On top of that ‘cloudy’ season really starts to kick in to high gear in the fall and winter. So even during the day we might not catch a glimpse of the sun. I could go on and on but I have to stop. There are real physical and psychological effects from having shorter days, less sun exposure and colder temperatures. Depression, anxiety, weight gain, stress and many more serious conditions can all be related to this season. Luckily training at Scranton mixed martial arts will help you beat cabin fever. Getting in a great workout just a few times a week will help you feel better. It will help you beat any stress or anxiety that starts to creep up. You will have a much easier time maintaining your weight or even losing some body fat. You will able to see your friends, hang out, have fun and not worry about freezing to death as well. It doesnt matter if you want to come in and learn how to defend yourself using Gracie Jiu Jitsu or if you want to come in and hit the heavy bag and get some sparring in. Maybe you want to try out some Judo and learn how to throw people around. Whatever your interest is we have you covered and if you want to try all of it out we can help you with that too. That is great for people who think they might get ‘bored’ workout out. Not a chance at Scranton MMA. Also adults are not the only ones who are effected by the short daylight hours and cold temperatures. Children can also be suffer as well. Instead of playing outside and being active more and more kids will turn to video games and television for entertainment. This can lead to social issues and health issues. 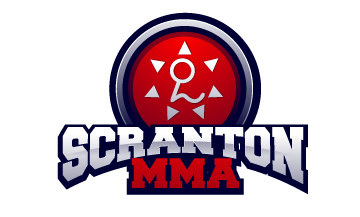 Having your child enrolled at Scranton Mixed Martial Arts will help them stay active and keep them in a positive mindset throughout the winter. This post may seem a bit silly but I am sure I am not the only one who has suffered from ‘Cabin Fever’ or Seasonal Affective Disorder. Martial arts helps me fight it off no problem. I love being able to workout with friends and family and not having to rely on the weather to stay active during the winter. It helps me stay in shape all year round and keeps a smile on my face.